Joining our Trust means so much more than working for just one school. 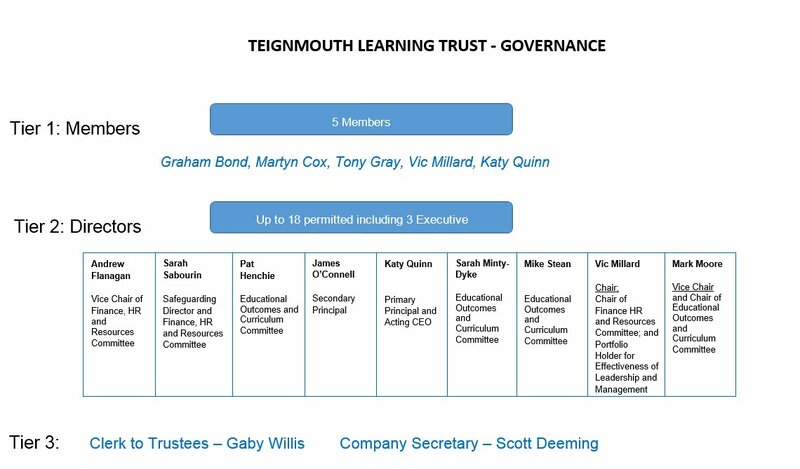 Teignmouth Learning Trust (TLT) is a successful growing family of schools that play a part in shaping our culture within the town of Teignmouth, South Devon. A career with TLT has many opportunities. We are passionate in supporting staff with their professional development and well-being. We believe that the more we invest in our staff, the more successful we will become as an educational Trust. We want the best for our stakeholders and have many opportunities and rewards on offer. Teignmouth Community School is a successful 11-18 academy situated on the South Devon Coast, in the heart of the local community. Judged in 2015 by Ofsted to be a ‘Good’ school, Teignmouth Community School is seeking new ways to build on our success in order to maximise student progress and meet the needs of our diverse student body. The successful candidate will join a high-performing team with a diverse and exciting curriculum combining Design and Technology with Food, Catering, Engineering, Product Design, Motor Vehicle and Construction. We welcome applicants from candidates at all career stages and look to support rapid professional development wherever possible. If you share in our commitment to excellence, we want to hear from you. We wish to expand our casual bank of staff for examination invigilation. Reliable, confident people are sought to invigilate for public, mock and computer based assessments. You will be responsible for the supervision of pupils in the exam room, issuing the correct exam paper and adhering to the regulations (Joint Council for Qualifications). Full training will be given. Teignmouth Community School is committed to promoting and safeguarding the welfare of children and young adults. If successful, you will undergo an Enhanced Level DBS check. Teignmouth Community School, Mill Lane, are seeking to appoint an Early Years Practitioner. We currently offer a provision from two years of age, and operate in a Foundation Stage Unit, where the Nursery and Reception team work collaboratively to support our learners achieve their potential and more. The successful applicant must be confident working in a childcare setting and have a real passion for working with children. You will also be required to support individuals on a 1:1 basis, assisting with classwork, behaviour management and helping pupils with their daily routine. The applicant must be qualified with at least a Level 3 in Early Years (NVQ Level 3 in Childcare or equivalent is acceptable), and have working knowledge of all areas within the Early Years curriculum. You would also be expected to take on the role of a key-worker, as well as be involved in the day to day planning of activities to meet the learning needs of the children in our Early Years provision. Experience of working in an Early Years setting is preferred but consideration would be given to newly qualified Early Years Practitioners. In your application please include within your supporting statement why you believe you are the person to fulfil this role and how you would go about doing so. For an application form, or any further information about the role, please contact Scott Deeming by email scott.deeming@teignmouth.devon.sch.uk or by telephone on 01626 772320. Teignmouth Community School, Mill Lane, is seeking to appoint an experienced, skilled, enthusiastic, flexible and motivated person to support learners in our school. You will have high expectations of all learners and you will also be expected to build good relationships with children, their parents, teachers and other professionals. You will be able to use your own initiative, have good communication skills, be professional and have a high standard of education. The post holder will work under the instruction guidance of teaching/senior staff to undertake work/care/support programmes, to enable access to learning for children and to assist the teacher in the management of children and the classroom. Work may be carried out in the classroom or may regularly take place outside the main teaching area. Experience of working with KS2 is desirable.